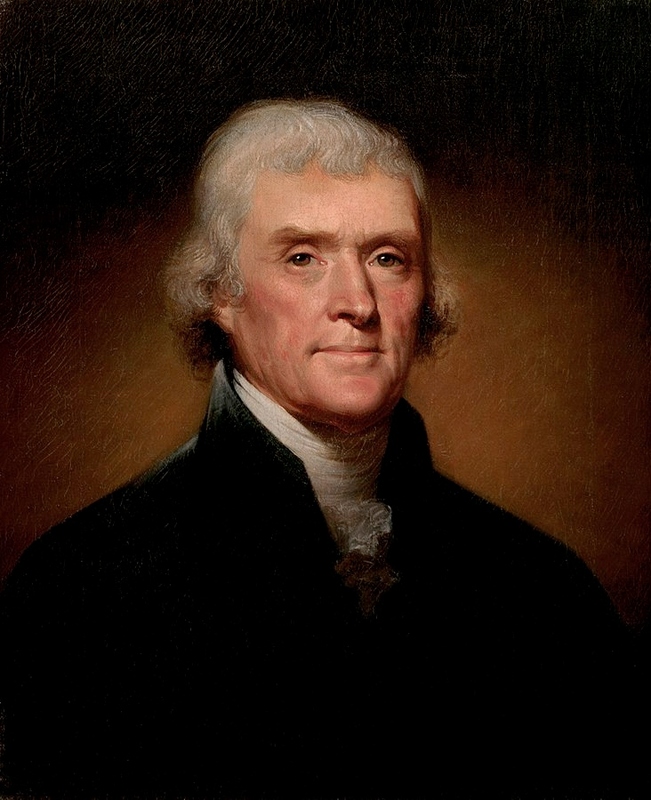 Thomas Jefferson (April 13, 1743 – July 4, 1826) was an American statesman, diplomat, lawyer, architect, and Founding Father who served as the third president of the United States from 1801 to 1809. Previously, he had served as the second vice president of the United States from 1797 to 1801. The principal author of the Declaration of Independence, Jefferson was a proponent of democracy, republicanism, and individual rights motivating American colonists to break from the Kingdom of Great Britain and form a new nation; he produced formative documents and decisions at both the state and national level. Jefferson, while primarily a planter, lawyer and politician, mastered many disciplines, which ranged from surveying and mathematics to horticulture and mechanics. He was an architect in the classical tradition. Jefferson's keen interest in religion and philosophy led to his presidency of the American Philosophical Society; he shunned organized religion but was influenced by both Christianity and deism. A philologist, Jefferson knew several languages. He was a prolific letter writer and corresponded with many prominent people. His only full-length book is ''Notes on the State of Virginia'' (1785), considered perhaps the most important American book published before 1800. After retiring from public office, Jefferson founded the University of Virginia.